Stardock Entertainment announced today that it has reached an agreement to carry some of Dreamcatcher Interactive's best-selling games on its TotalGaming.net service. The deal will bring popular Dreamcatcher titles including Painkiller, Hegemonia and Aura: The Fate of Ages to the TotalGaming.net digital distribution service. Stardock Director of Publishing Brian Clair said, "We are putting a lot of resources into expanding the product lineup at TotalGaming.net, and we're really excited to begin what we hope will be a long and prosperous relationship with Dreamcatcher Interactive. We look forward to having Dreamcatcher, JoWood and the Adventure Company bring even more exciting new titles to TotalGaming.net, along with a number of their past hits." 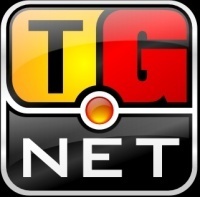 Launched in 2003, TotalGaming.net currently carries more than 70 titles; while it has few major North American releases in its catalog, it does offer games ranging from mainstream releases such as Galactic Civilizations II and XR: Xpand Rally to smaller titles from independent developers. Unlike most digital delivery systems, TotalGaming.net does not employ any form of copy protection or DRM on software it sells.